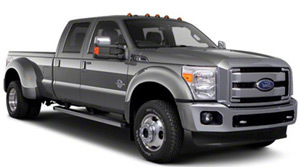 Pickup trucks require powerful, dependable and rugged batteries. Our Lithionics lithium ion batteries for all light trucks not only save weight, but they resolve a common problem most dual battery diesel trucks have. 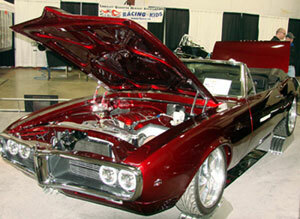 Domestic and Import Trucks - we can outfit them all with our lithium ion batteries. from our lithium ion batteries. GT480 12 Volt SBS40: Compact, 9.6lbs. 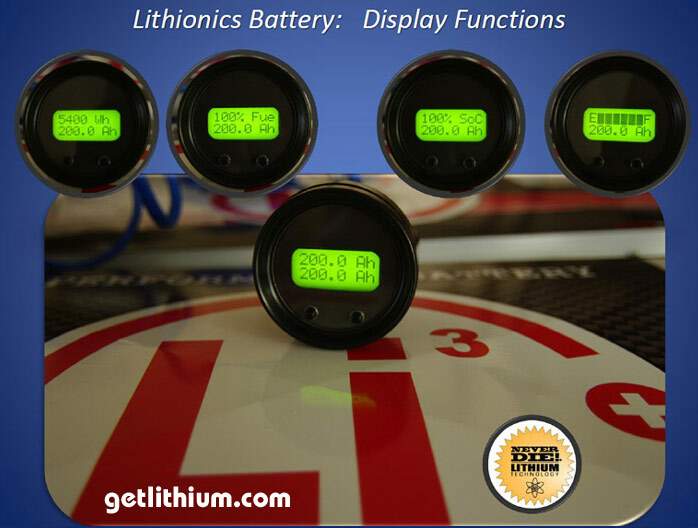 Please be certain to double check our battery dimensions to ensure our Lithionics lithium ion battery will fit your application before ordering. for RV, Marine and Solar Power. IN SERIES/ PARALLEL CONNECTIONS WITH AN EXTERNAL NEVERDIE BMS. 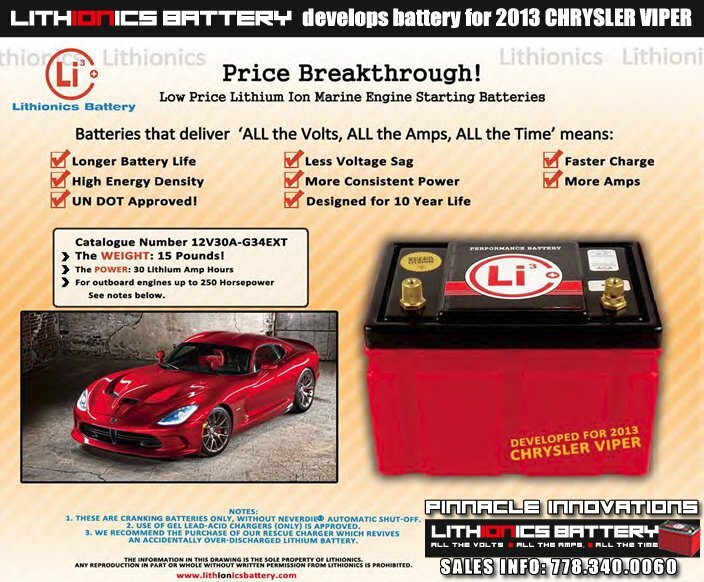 PRICES SHOWN BELOW ARE FOR "NO NEVERDIE" BMS BATTERIES. 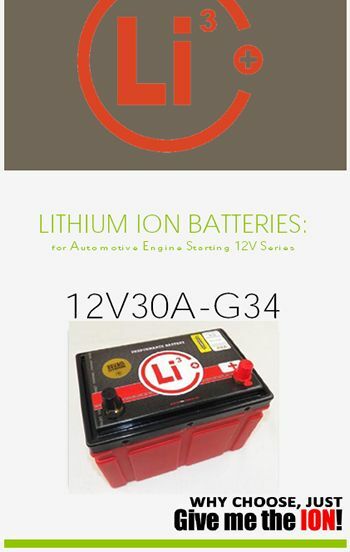 Other Lithium ion Battery Models. 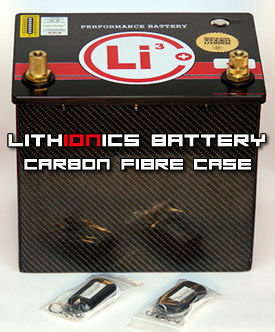 REAL CARBON FIBER BATTERY CASES AVAILABLE AT ADDITIONAL COST. 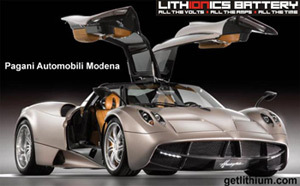 A great, lightweight and low cost lithium ion battery with 20 Lithium Amp Hours Reserve Capacity. Note: 1 Lithium Amp Hour = 2 Lead Acid Amp Hours. A great, lightweight and low cost lithium ion battery with 30 Lithium Amp Hours Reserve Capacity and higher Cranking Amps. Note: 1 Lithium Amp Hour = 2 Lead Acid Amp Hours. 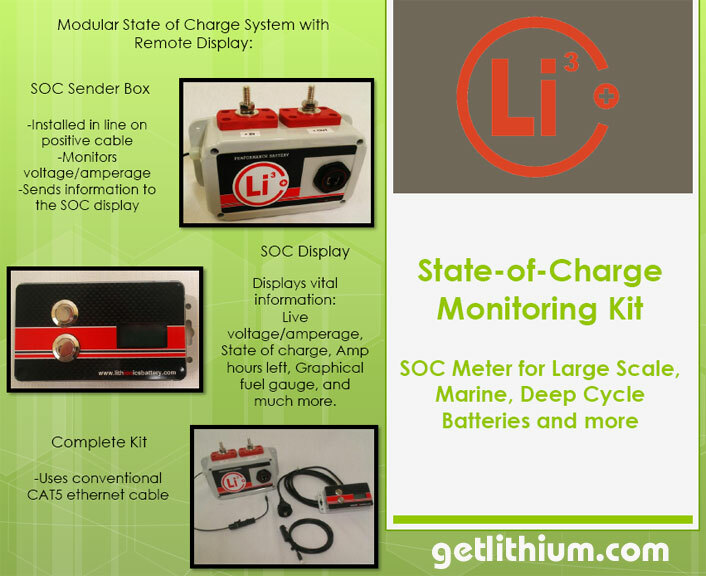 Each complete kit includes special hardware/ connectors inside the battery or an external SoC Sender Box. Also included is cabling to connect either our round digital display gauge or the small rectangular digital display box that can be mounted to any flat surface. 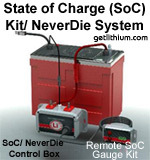 NeverDie is an option that can be ordered with ALL of our batteries at extra cost. 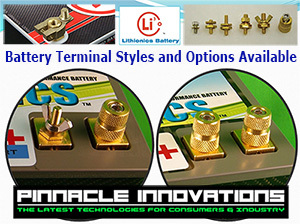 This is a Low Voltage Cutoff (LVC) circuitry built into the battery that will allow you to use the electricity in your Deep Cycle lithium ion battery with the engine off and the battery will automatically enter "sleep mode" once the battery is drawn down to 3% to 5% of its total charge. This means you can use approximately 95% to 97% of the energy in the battery before it enters "sleep mode". This way, you cannot drain your new lithium ion battery completely by accident. 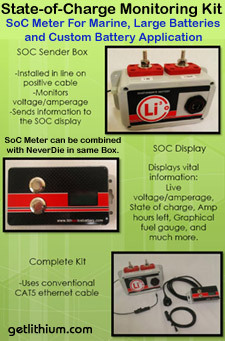 The NeverDie System for 12 Volt Engine Starting battery applications has a different Low Voltage Cutoff (LVC) point. 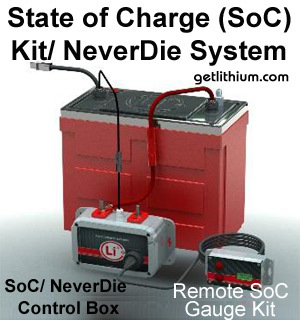 Typically with the 12 Volt Engine Starting battery applications you can use 80% to 90% of the energy in your lithium ion battery before the NeverDie System LVC will be activated. This will mean that you will have 10% to 20% of the battery's total charge available - which is enough for 2 or 3 engine starts. 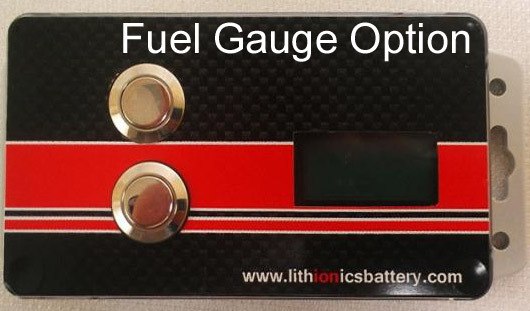 If your vehicle or vessel is hard to start or you will use your vehicle/ vessel in some of Canada's colder climate areas (-20 degrees Celsius and colder) we suggest that you order your lithium ion battery with a Low Voltage Cutoff at 30% to ensure more starting power if the battery was accidentally drained.